In 1886, a mysterious travelling circus becomes an international sensation. Open only at night, constructed entirely in black and white, Le Cirque des Reves delights all who wander its circular paths and warm themselves at its bonfire. Although there are acrobats, fortune-tellers and contortionists, the Circus of Dreams is no conventional spectacle. Some tents contain clouds, some ice. The circus seems almost to cast a spell over its aficionados, who call themselves the reveurs - the dreamers. At the heart of the story is the tangled relationship between two young magicians, Celia, the enchanter's daughter, and Marco, the sorcerer's apprentice. 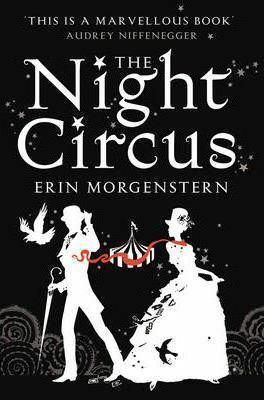 At the behest of their shadowy masters, they find themselves locked in a deadly contest, forced to test the very limits of the imagination, and of their love...A fabulous, fin-de-siecle feast for the senses and a life-affirming love story, "The Night Circus" is a captivating novel that will make the real world seem fantastical and a fantasy world real.